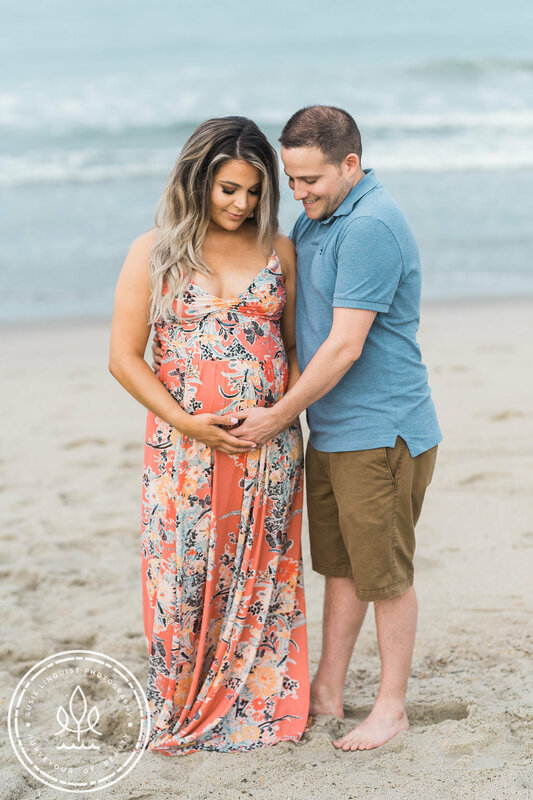 Babymoon: ˈbābēˌmo͞on/ noun, informal – a relaxing or romantic vacation taken by parents-to-be before their baby is born. Now that we have that cleared up, Blake and I took our Babymoon during my 28th week of pregnancy in Wrightsville Beach/Wilmington, NC. 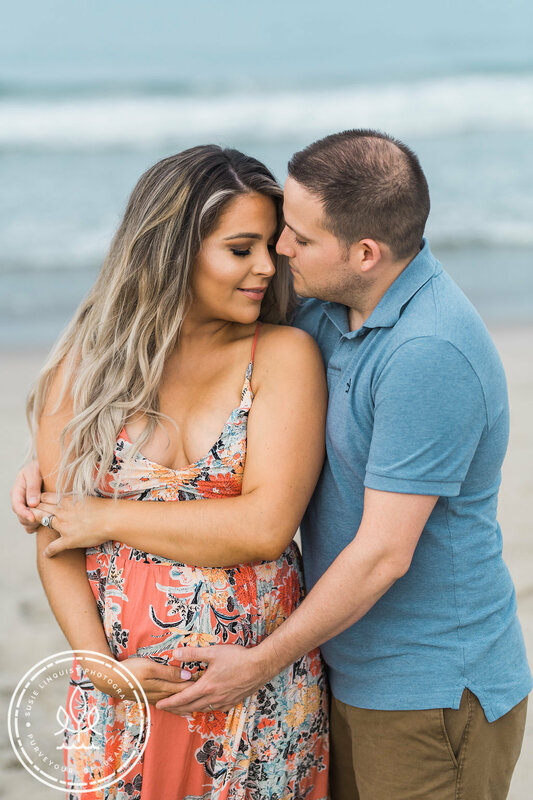 We used to live in the area and got married there, so it’s a place we love to go back to and figured it’d be the perfect place to do our maternity photos, as well. 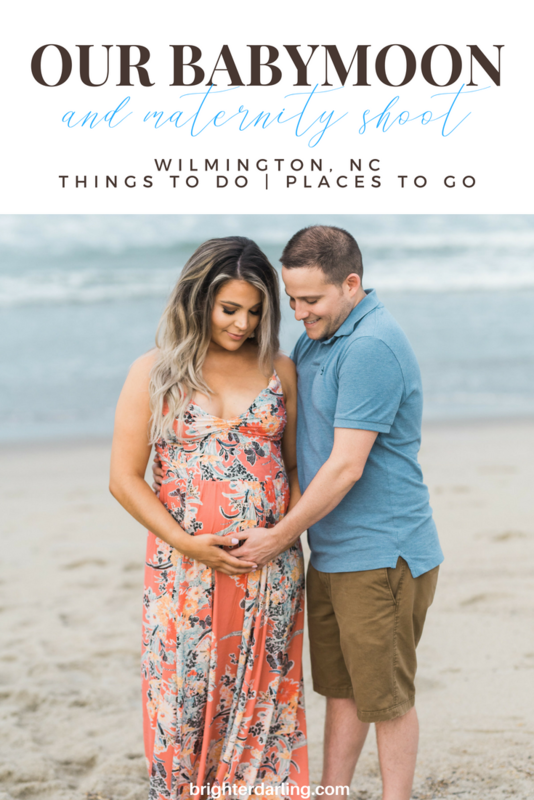 If you’re curious what we did, where we stayed, and want to see some of my maternity pics, continue reading about my Babymoon in Wilmington NC. 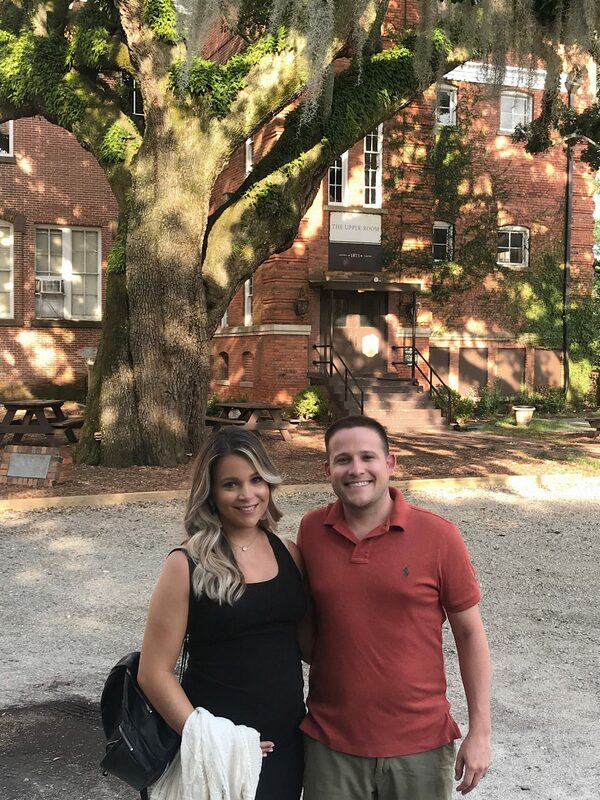 Right after Blake graduated from dental school, he served a few years in the United States NAVY and was stationed at Camp Lejeune, NC providing dental care for the United States MARINES. 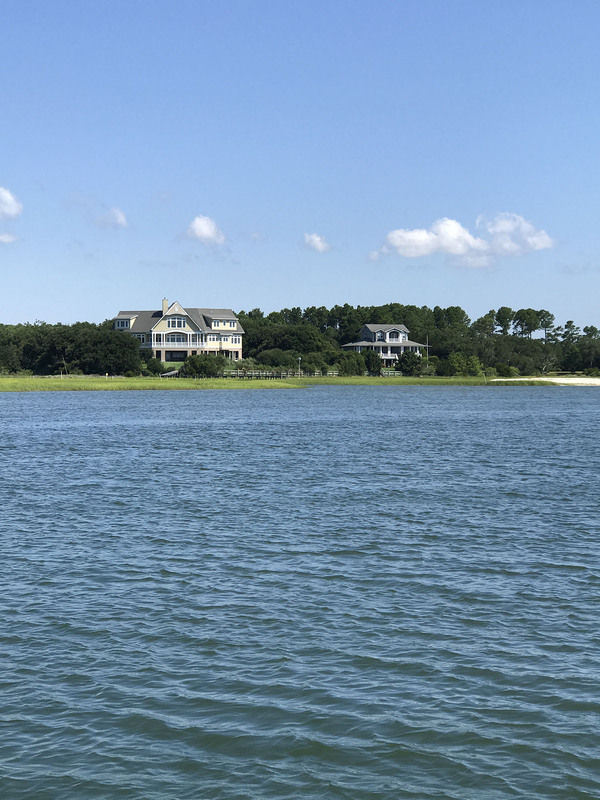 We absolutely fell in love with Wilmington, NC for its small town, southern charm complete with pre-civil war plantation homes, mossy oaks and wide, beautiful beaches. 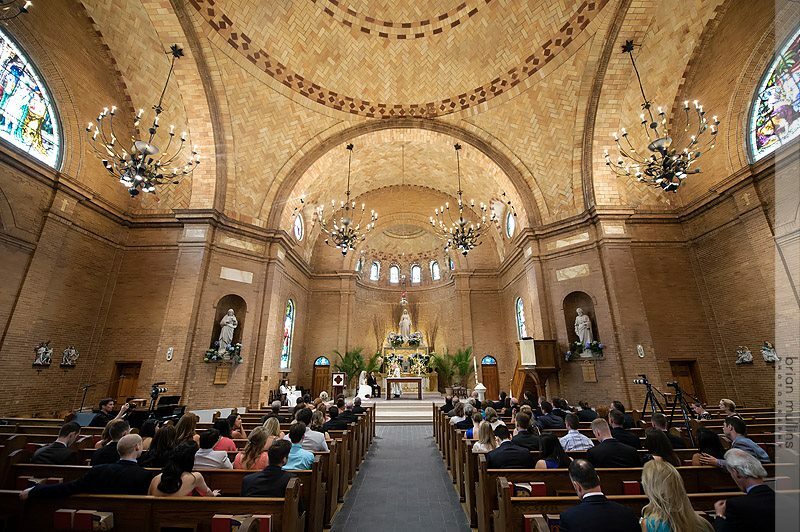 It was the perfect backdrop for our wedding day (see: wedding day makeup) and will always hold a special place in my heart. For those who don’t know, Wilmington is where Dawson’s Creek and One Tree Hill was filmed. It will also remind you a lot of many Nicholas Sparks’ novel settings. When we were thinking of locations for our Babymoon, I didn’t want to fly just because I wasn’t sure how comfortable (or uncomfortable) I’d be by 28 weeks, and we really wanted to include our two Golden Retrievers… so that meant it had to be driveable. Wilmington is about a 7-8 hour drive from our home in New Jersey… which is great for me since I love it there so much! 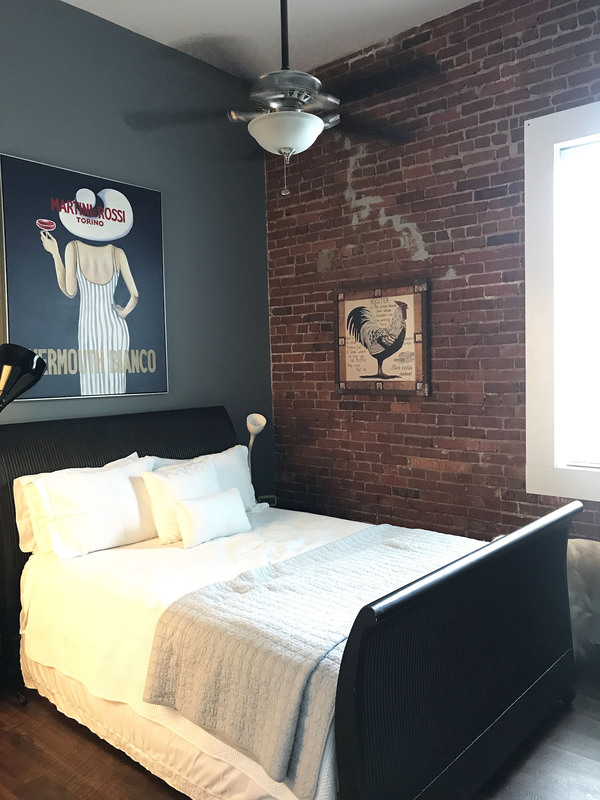 We also decided to try out our first AirBnB experience since the hotels in the area that were pet friendly weren’t in our preferred location, plus we wanted to have the comforts of being home and having a kitchen, etc. since we’d be in town for a full five days. After packing up our Jeep, we started our drive at 7am from NJ and arrived at our AirBnB by 4pm. I only had to stop and pee three times (I did ration myself a bit during the drive, lol). 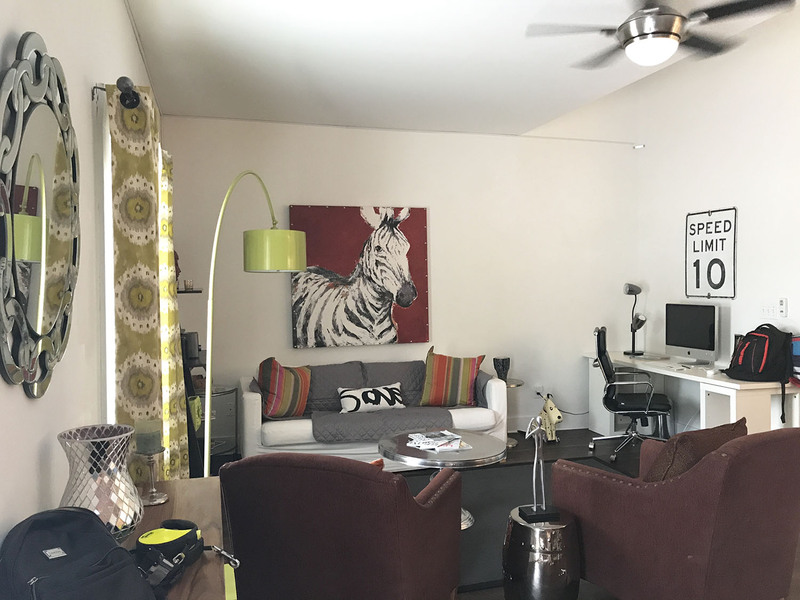 We LOVED using AirBnB! Our host was awesome, super clean and super pet friendly. 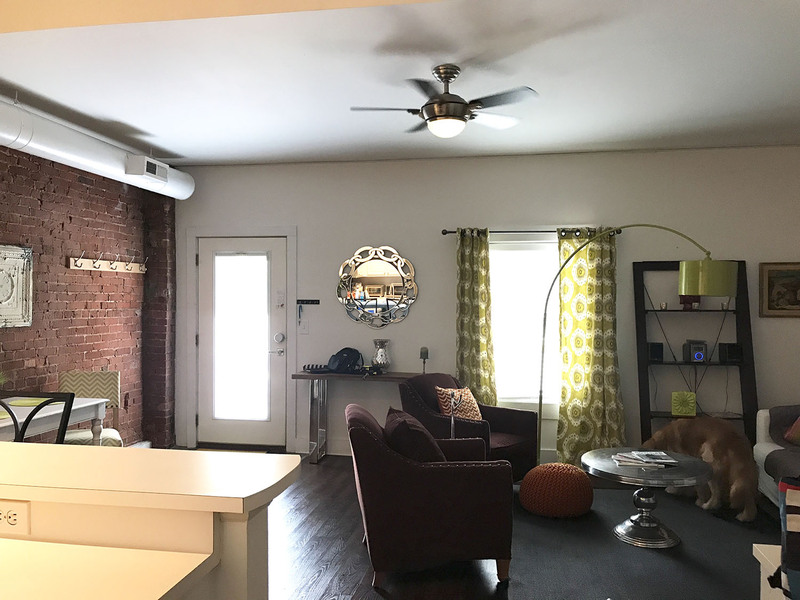 He had a sofa cover to protect the sofa from rips or tears, pictures of pups throughout the apartment and the location was ideal to take the dogs potty and take daily strolls. The dogs totally approved of their stay and want to take more AirBnB vacations very soon. 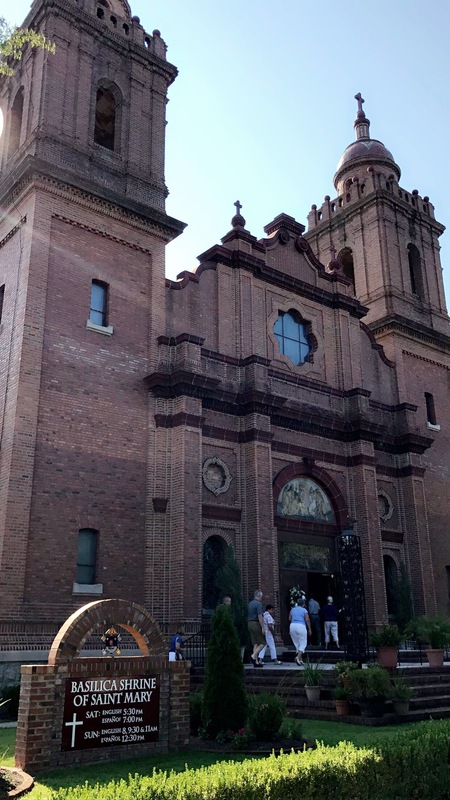 Every time we go to Wilmington, there are certain spots we have to revisit, but we also like to try new places as the city is growing rapidly! Port Land Grille – this is a staple for us. It’s where we went after we got engaged, celebrated multiple birthdays, honored a few anniversaries and brought a few of our parents there. The owners always remember us even if it’s only once a year and even let us sit at the same table we got engaged at! Talk about amazing customer service. The food is always fresh and delicious. Blake usually orders steak (beef tenderloin) and I usually order the grouper with risotto. 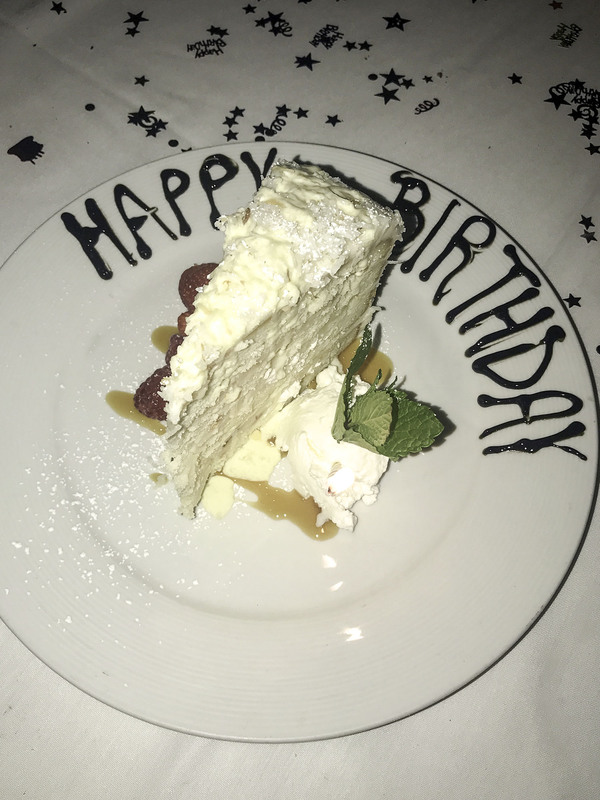 During this trip, we also celebrated my 33rd Birthday, and had the most INCREDIBLE coconut cake I’ve ever had. 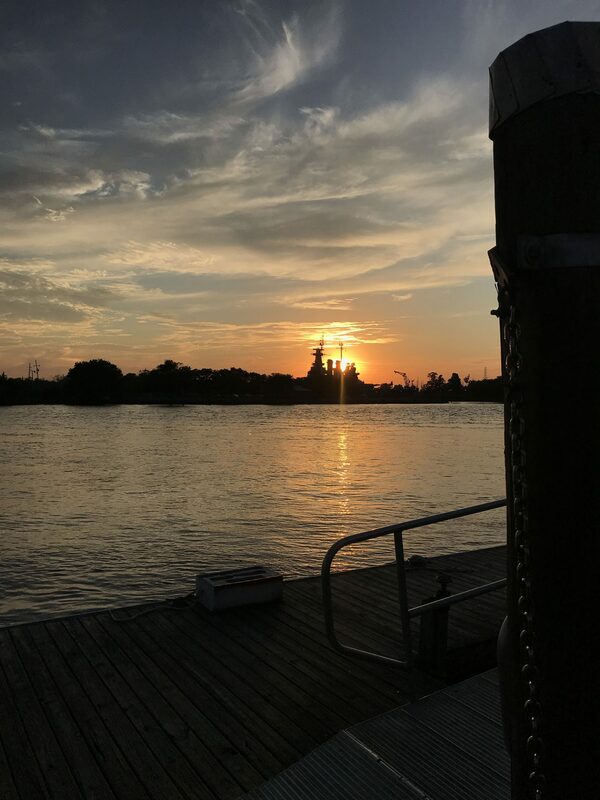 Dockside Restaurant and Bar – the best hush puppies around! We stopped here for lunch after a morning beach walk and loved the *dockside* waterfront views. I recommend the blackened fish tacos. 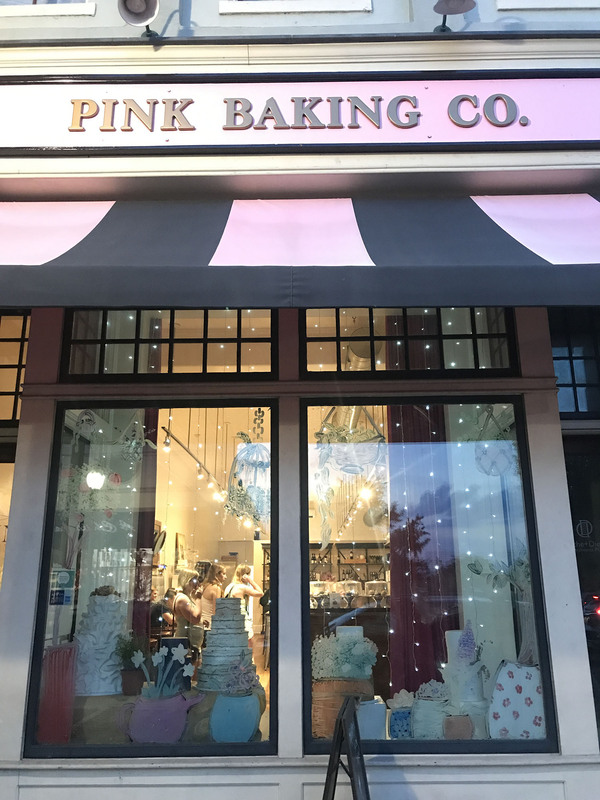 Pink Baking Co. – this is the bakery that made our wedding cake (and also makes some of the best gluten-free cupcakes you’ll find anywhere). 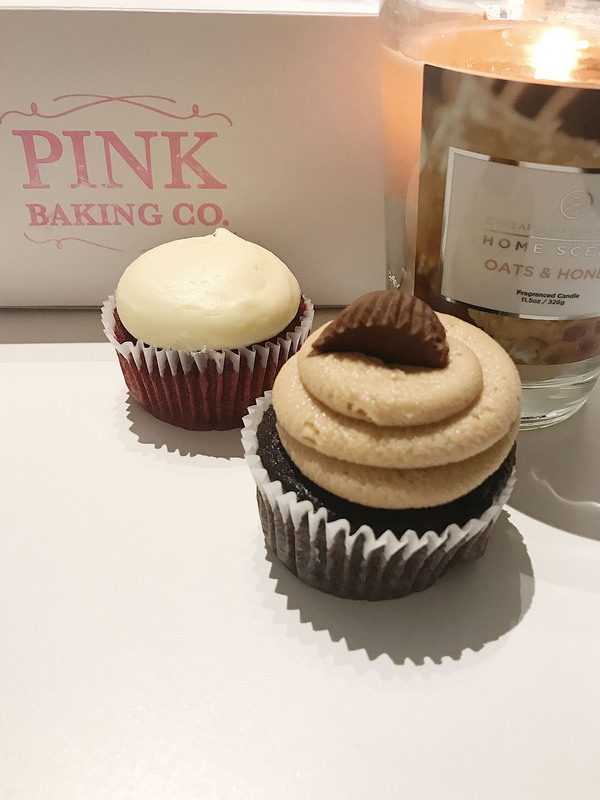 They serve wine and cupcakes – but naturally, I could only indulge in the cupcakes this year. 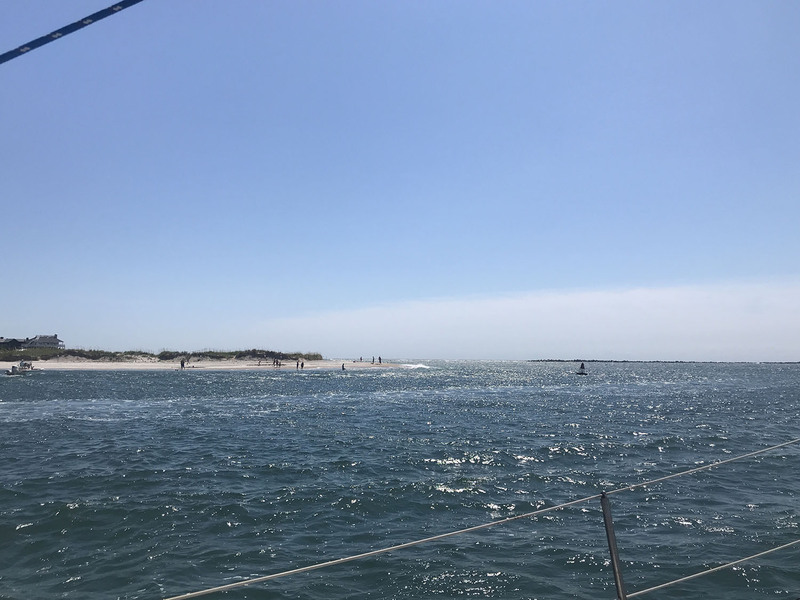 The biggest activity we did during the trip was to take a 2.5 hour yacht ride with Captain Joe on his Shamrock out on the Intercoastal around Masonboro Island. It was the best thing ever and we had amazing weather! 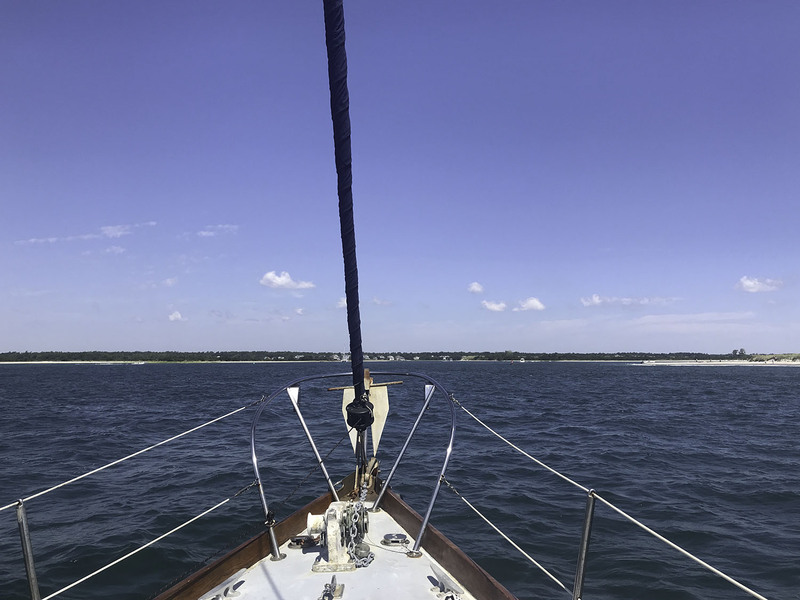 It was so relaxing, our Captain was so hospitable and the yacht only held six of us, so it was great to enjoy an almost-private yacht ride on the water. I also wanted to remain pretty active on the trip and we took 20-40 minute walks daily. 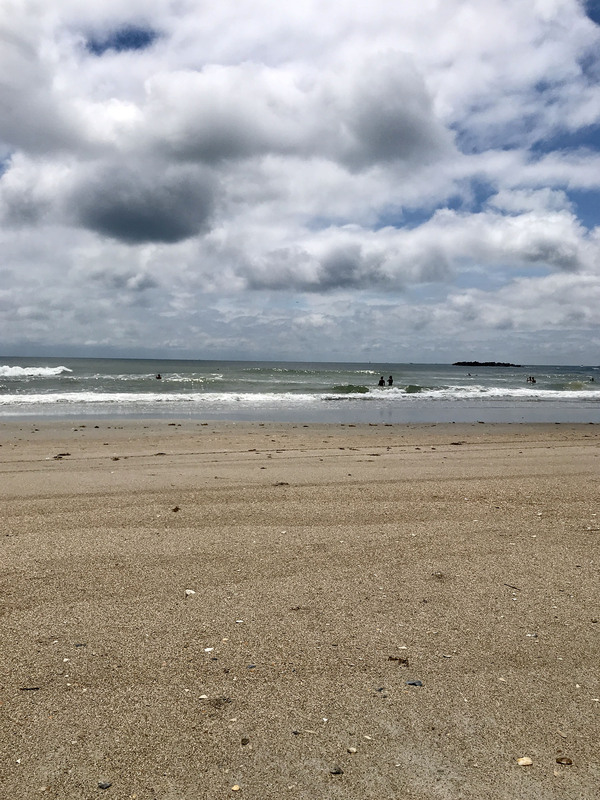 Whether downtown or on the Wrightsville Beach Loop, I made sure to get my 8,000 steps a day (my pregnancy goal). For some personal TLC, Blake got a deep tissue massage (his favorite) and I got a prenatal facial at Coastal Massage + Spa… which is owned by an old friend of ours. 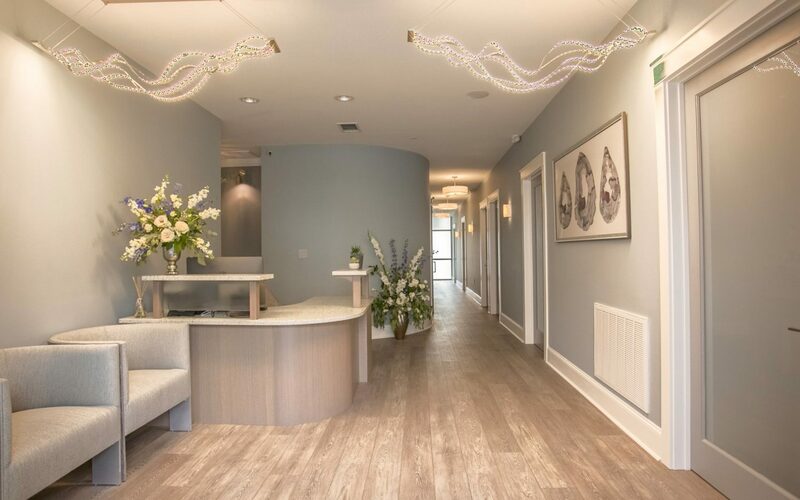 It’s a beautifully beachy full service spa complete with all the amenities. 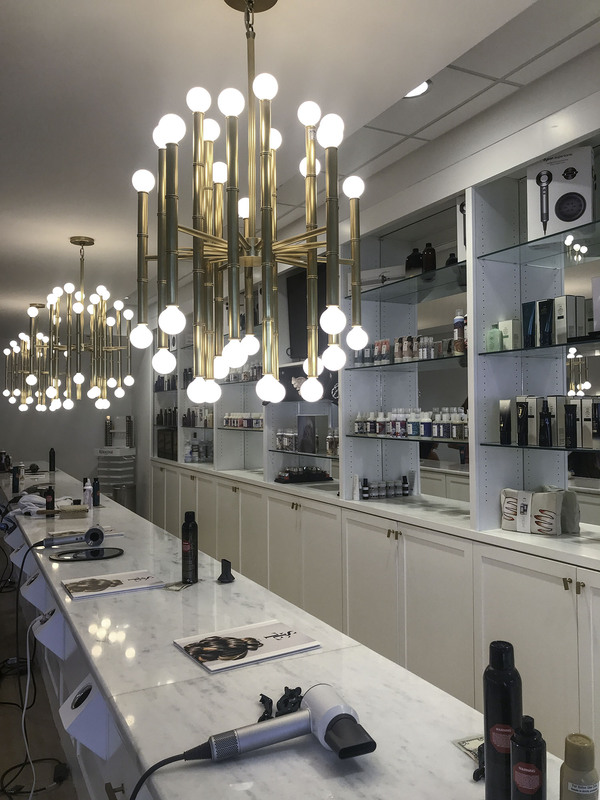 For me, I treated myself to a blow out, as well, at SET Blowout Bar – which is conveniently located next to Coastal Massage + Spa. The stylist did a great job of giving me soft, beachy waves that lasted SO LONG. I don’t know what type of sorcery she used, but I have never had a blowout and curls last as long as it did and I barely recall her using many products!? Crazy… but obviously I totally recommend. When we visited Wilmington last year, I lit a candle at the church praying we’d get pregnant soon. So ironic to be there a year later and be 28 weeks along. 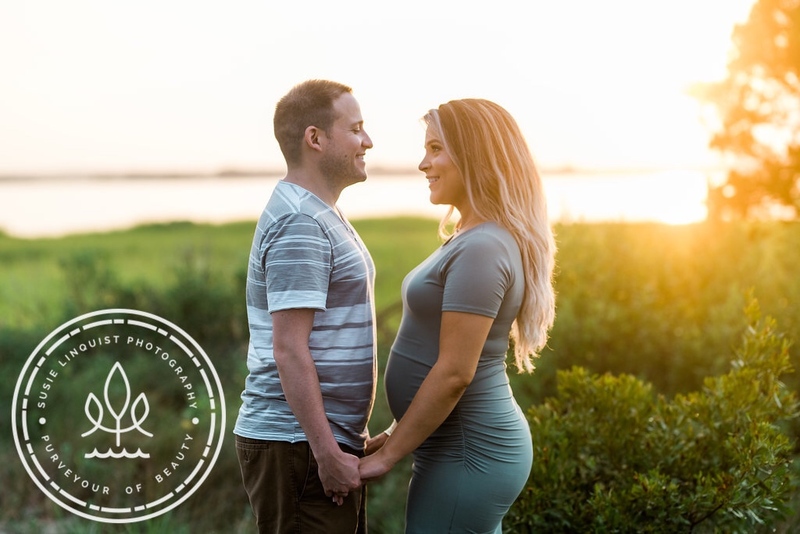 In addition to getting married in Wilmington and loving our time in southern North Carolina, one of my favorite photographers is there! Susie Linquist Photography was my photographer back in 2013 when I was daring enough to do a boudoir shoot for Blake for a wedding gift. If there’s anyone you’re going to feel comfortable with when 28 weeks pregnant, it’s someone who has seen you down to your undies, LOL! 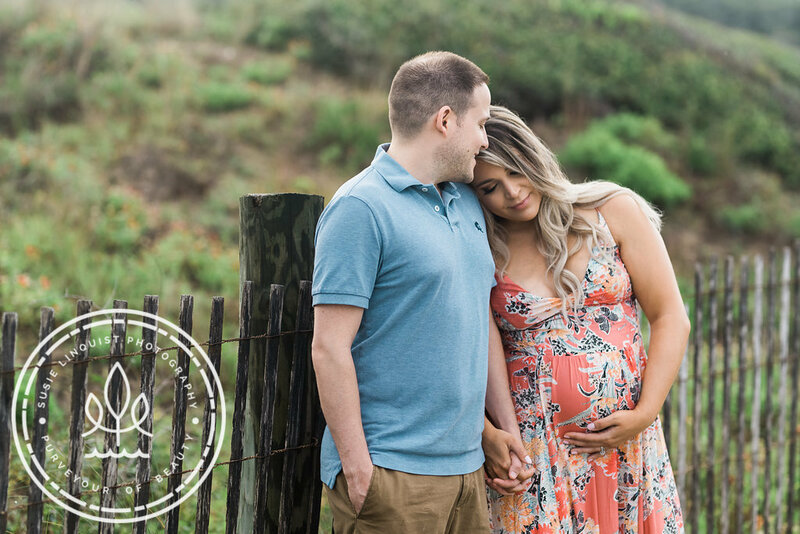 I knew Susie would be the perfect maternity photographer for us because she is excellent at capturing women’s beauty and is sensitive to areas that women may be concerned about. 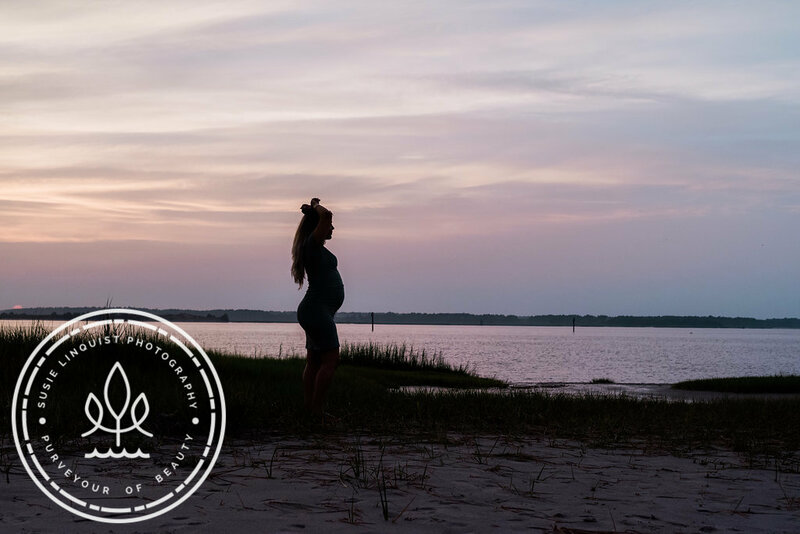 A mom herself, she understands that although pregnancy is a beautiful time, it can also be a time women are extra sensitive about the way they look. 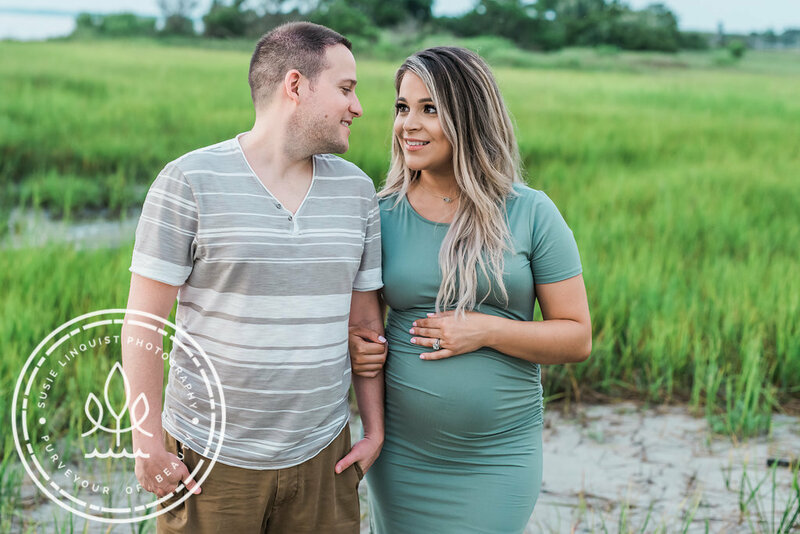 I’m so happy with how our maternity photos came out and cannot wait to take baby Savannah Faith to North Carolina for a family photo shoot soon! 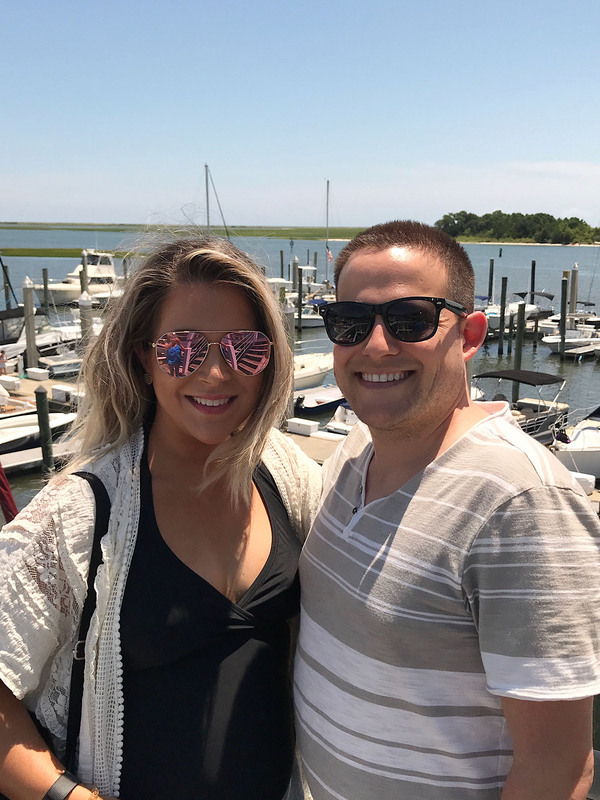 That wraps up Babymoon in Wilmington NC recap! I’m really glad we did our Babymoon when and where we did. 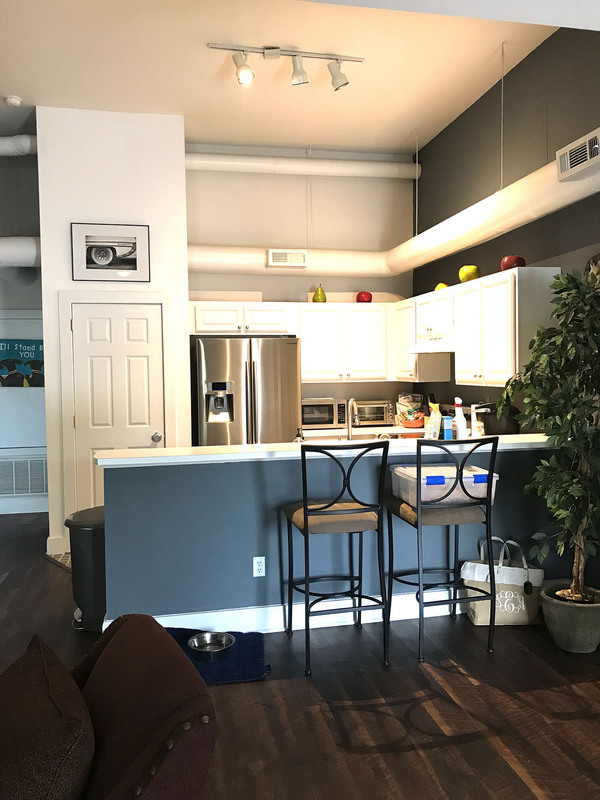 Also really glad we chose to use AirBnB and looking forward to taking some drivable trips at future pet friendly locations soon. "Pregnancy Files: 2nd Trimester Beauty and Style Essentials"